One becomes two, two becomes four, and before long, there are trillions of cells. It’s an awe-inspiring process to see an animal progress through embryonic development—cells dividing, moving, and morphing in what looks to be a highly coordinated and complex process. To be sure, embryonic development is very elaborate and something we’re still actively studying. But over the past century we’ve come to understand human development much better thanks to the efforts of insightful scientists like Dr. Mary Logan Reddick. Dr. Reddick was a developmental biologist, meaning her research focused on understanding how a fertilized egg becomes a complex organism1,2. From an early age, Dr. Reddick showed a passion for learning that led her to study biology at Spelman College when she was just 15 years old. In the years that followed, she gained two master’s degrees—one a Master’s of Science and the other a Master’s of Biology—and later a PhD. During school, Dr. Reddick learned how to use chickens as a proxy for human development2,3. Human embryonic development is hard to study, both morally and technically. Fortunately, we can learn about its basic principles by studying the way other animals develop. The chicken is a popular model organism for this type of research because its development can be easily observed—you just have to cut a hole in the eggshell to have a front-row seat4. 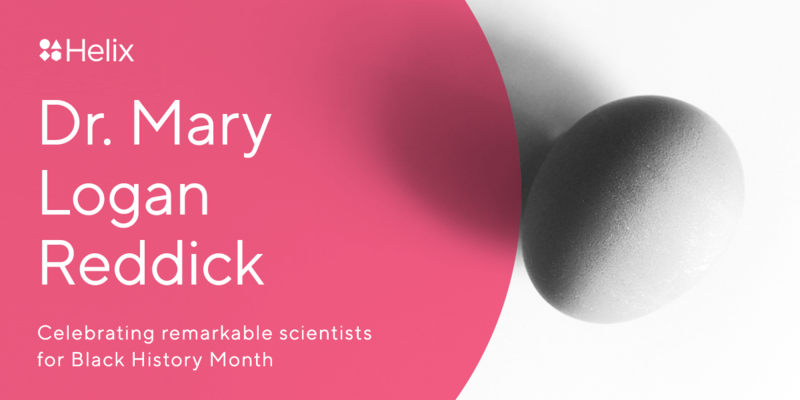 Dr. Reddick specialized in the study of chicken embryo development and used this model system to ask how a cell knows what it should eventually become. During embryonic development, we somehow develop heart cells, liver cells, neurons, and skin cells—all of which come from the same fertilized egg. So how does that happen? How do cells know what to be and when to be? To find answers to these questions, Dr. Reddick performed cut-and-paste experiments where she would take a small group of cells from one developing embryo and place them into a new location on another embryo. She would then observe to see what became of these cells. In some instances, the embryos that received the transplanted cells would develop normally. But other times, Dr. Reddick observed that organs didn’t develop quite right. By carefully observing the effect of these types of experiments, Dr. Reddick and other developmental biologists have been able to build a map that tells us where in the developing embryo many of our organs come from1,2,3. Beyond just telling us where they come from, these experiments also give us information about how they develop. Nearly every cell in the human body has the same set of genes—meaning each cell has the instructions that tell a skin cell to be a skin cell, and a heart cell to be a heart cell. So how does any one cell know what to use? In many cases, a cell’s ultimate fate is determined by its physical location within the embryo. Surrounding cells release proteins that join together into a soup of signals, each one helping to mold the identity of the cells bathed in it. Where a cell is within this soupy gradient of signals can have a big impact on what type of cell it develops into. In just under 30 years, Dr. Reddick was able to contribute valuable insights into how animal nervous systems develop and how a cell’s position with the embryo can determine its fate. She was much more than a dedicated researcher, too. Unfortunately, Dr. Reddick died early at the young age of 51. But in her short time as a researcher, Dr. Reddick forged new paths as a formidable and impactful women of color in science. She trained more than 20 students, and inspired many more. 1Reddick, Mary Logan. “Histogenesis of the Cellular Elements in the Postotic Medulla of the Chick Embryo.” The Anatomical Record, vol. 109, no. 1, 1951, pp. 81–97., doi:10.1002/ar.1091090106. 2Reddick, Mary Logan. “The Differentiation of Embryonic Chick Medulla in Chorioallantoic Grafts.” The Journal of Comparative Neurology, vol. 82, no. 3, 1945, pp. 283–297., doi:10.1002/cne.900820304. 3Stern, C D. “The Avian Embryo: a Powerful Model System for Studying Neural Induction.” The FASEB Journal, vol. 8, no. 10, 1994, pp. 687–691., doi:10.1096/fasebj.8.10.8050666. 4“Mary Logan Reddick.” Wikipedia, Wikimedia Foundation, 24 Sept. 2018, en.wikipedia.org/wiki/Mary_Logan_Reddick.